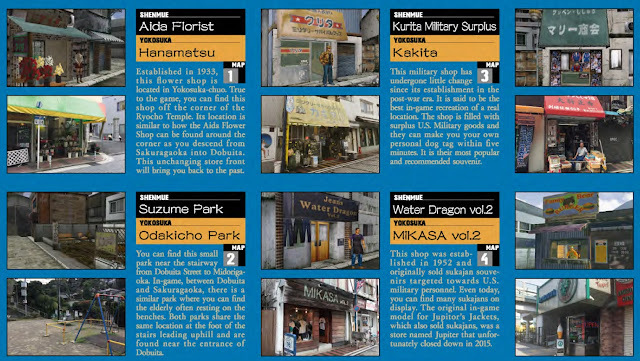 The recent publication of an official Shenmue-themed tourist guide map for Yokosuka has caused a buzz of excitement within the Shenmue community. The result of a collaboration with SEGA, the two-sided 3-fold pamphlet oozes quality and the care that has been taken in putting it together is apparent at a glance. Shenmue fans may also be wondering about how the map came to be created. Many questions come to mind, such as: was it something proposed by SEGA? How long did it take to create such a detailed document? What prompted the project at this particular time? Armed with such pressing questions, I got in touch with the guide map's co-creator, Eriko Furusaki of the Tourism Planning Division within the Yokosuka City Economic Department, who very kindly agreed to give us some insight into how the map came to be. The map was initially released in Japanese. In the past week since this interview was taken, the English version has now also been made available - see the end of the post for further information. This is a translation of the original Japanese interview. 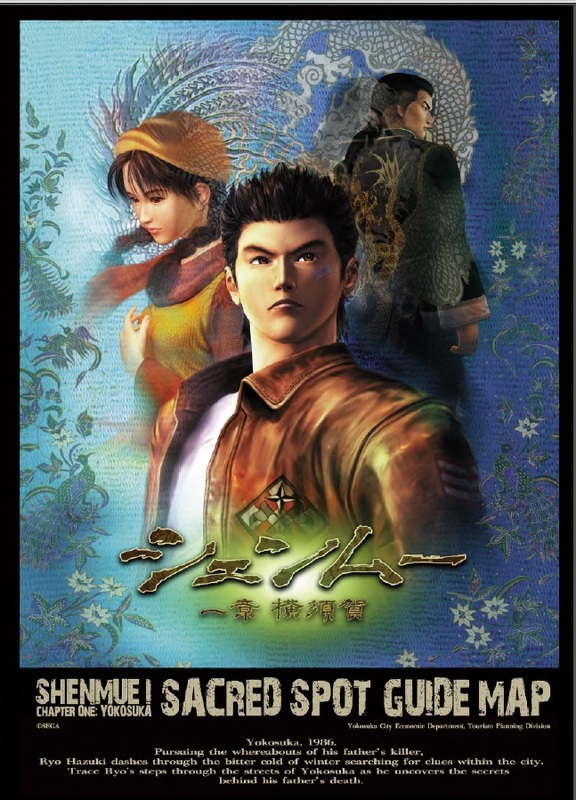 Q: 18 years have passed since the release of Shenmue Chapter 1: Yokosuka. Could you describe, in as much detail as possible, what led to the creation of a Shenmue-themed guide map? For example, whether it was something that SEGA proposed, when you first had a meeting to discuss it, and so on. Eriko Furusaki: The City’s Tourism Planning Division, as a part of the tourist promotion industry, gets involved in collaborative efforts including "subculture content" such as anime, manga and games. Game tie-ins we have been a part of, and held events for, include Ingress, Pokemon GO, World of Warships and more. And so we had already been looking for an opportunity for a tie-in with Shenmue 1, due to its setting of Yokosuka, when Shenmue 3 was announced. After seeing the enormous excitement generated, we decided to produce a "Sacred Spot" map. Firstly, we made contact with SEGA, and had an initial meeting with them around June of this year. Things progressed smoothly from there, although on our side we wanted to get things just right, and so it ended up taking a little extra time. "We have now become through-and-through fans of Ryo!" (Expanding on this last comment): This was with regards to the map's content. For example, I've lost count of the number of times we re-adjusted angles for the in-game screenshots, and the number of times we retook photos of Dobuita. We were also very careful about the smallest details, such as whether the design properly paid homage to the world of the game. So this slowed our progress a little towards its release. Regarding the map’s creation, the two of us*¹ responsible for making the map took the in-game screenshots and so on as we played, but it was tough trying to get the angles to match with those of the actual photographs. Then we had to contend with things like the start of early-morning forklift races, and even after we completed the game we replayed it numerous times. We have now become through-and-through fans of Ryo! *¹ The guide map is issued by the Yokosuka Action Promotion Committee, a group formed for the promotion of tourism in Yokosuka that consists of Yokosuka City staff as well as non-governmental community members. All design and creation for the map was completed by a mere two members of the Committee (Ms Furusaki and designer Sae Sato) - making the end result all the more impressive. Angles for the photos and screenshots were adjusted numerous times to match. 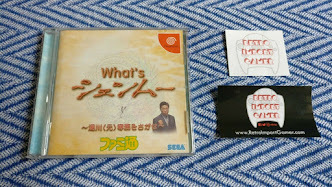 Q: Have you ever had a Shenmue-themed collaboration or promotion with SEGA before now? Q: When did work start on creating the map? EF: We received source materials and commenced creation around August. Q: What DTP software did you use during the creation process? EF: Our in-house designer created it with Illustrator. Q: Please explain the respective roles of the Yokosuka Action Promotion Committee and SEGA in the making of the guide map. EF: We borrowed the main visuals and character images from SEGA, and the Yokosuka Action Promotion Committee worked on the layout and design and so on. We asked SEGA to carry out an overall check of the design. The main visuals and character images were provided by SEGA. 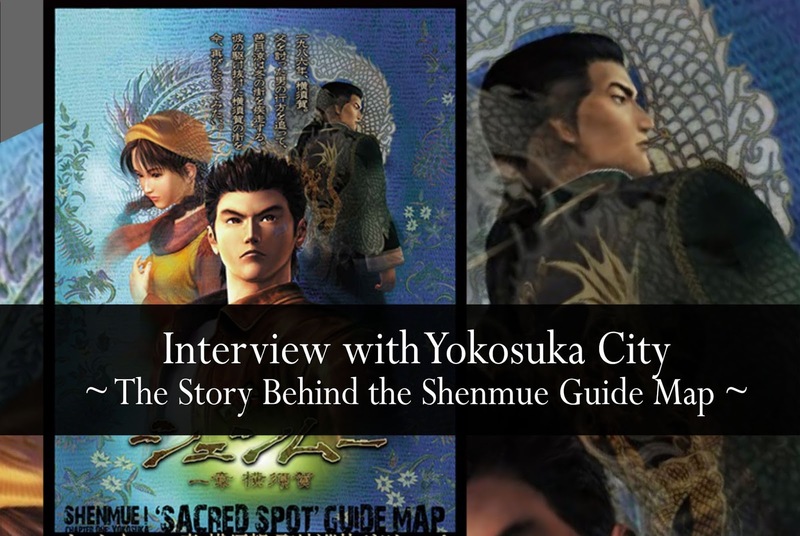 Q: Do you know if the creator of the Shenmue series, Yu Suzuki, is aware of the guide map? Have you received any comment from him? EF: We have been coordinating with SEGA, so haven’t contacted Mr Suzuki. But we would love him to take a look at it. "When night falls, Dobuita Street comes to life..."
Q: The pages of the map are packed with information; is there anything that wouldn’t fit due to space limitations? EF: We left out information on recommended shops that don’t appear in Shenmue in order to avoid confusion, however there are many shops along the way that can be recommended. And when night falls, Dobuita Street comes to life, with activities like billiards at one of the "pay-as-you-go" bars also highly recommended. Q: ls the guide map a limited-time item? If so, for how long (or how many copies) will it be available? EF: At the moment, there is no plan to limit its availability. Q: The guide map has been out for just under 2 weeks now, but what has the response been like? Has it been as you had expected? EF: On the first day we distributed it, we had a lot of visitors. Particularly striking was the large number of non-Japanese. Also we have had a lot of enquiries from all parts of Japan, and we also provide the map by post. We have created a variety of maps up until now, but this is the first time we've had a response to this extent. We have also had enquiries from some of the shops along Dobuita Shopping Street not featured in the map, as well as delighted feedback from those who have drawn the attention of the media. One of the Dobuita shops featured in the guide. Q: Could you explain more about getting the map sent by post? Is overseas delivery possible? EF: At the moment, we provide maps by post within Japan only. To arrange for a map to be posted, please contact us at the below number with your address. 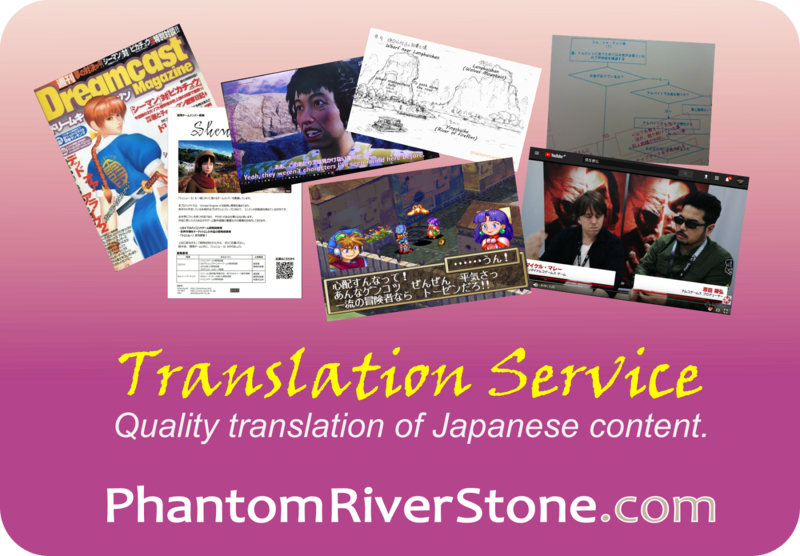 Once the English-language version is available, we will be considering locations for distributing it outside of Japan. Q: When do you expect the English-language version of the guide map to be ready? Who is in charge of the translation? EF: It is scheduled for completion within the year. The Yokohama City’s International Relations division is handling the translation. Q: I think a lot of tourists come to Yokosuka and Dobuita as a result of Shenmue’s influence. As a suggestion, have you considered stationing something Shenmue-related in shops or elsewhere, for example a memorial plate? EF: With the map having been such a success, we plan to look into this possibility going forward. "We would be delighted for players to make a journey to Shenmue's Yokosuka, seeing it through their own personal filter of memories and fondness for the game." Q: Thank you very much for your time. 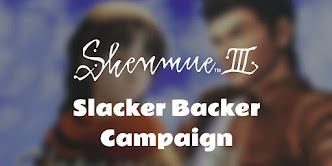 Finally, could you give a message for the fans of Shenmue? 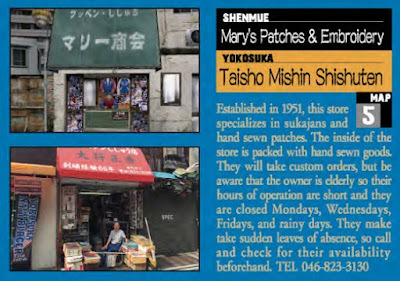 We would be delighted for players to make a journey to Shenmue's Yokosuka, seeing it through their own personal filter of memories and fondness for the game. Distribution of the English version will also be starting very shortly. We are looking forward to even more fans coming to visit. Eriko Furusaki is a web designer at the Tourism Planning Division within the Yokosuka City Economic Department, where she administers the Yokosuka City tourism information website. She is also in charge of projects that promote tourism through games. Download the map in digital form. Post (currently within Japan only): contact Yokosuka City by phone with address details. 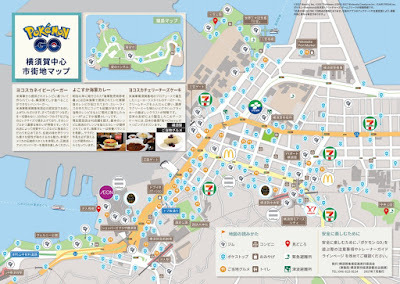 Pick up a physical copy of the map when visiting Yokosuka. Among other places these can be found at the tourist information centers: "Suka Navi", which has recently moved to the second floor of THE PRIME shopping center building, directly across from the East exit of Keikyu Yokosuka-chuo station; and "Dobuita Station" on Dobuita Street itself. Wow, thanks for arranging this interview Switch. I'd very much like to get hold of a printed English version, will you give us an update if you become aware of how overseas fans can get one posted? Glad you enjoyed it! Definitely, I'll be keeping an eye out and will post if there's any update on getting hold of the English version overseas. Many thanks! phantomriverstone.com is proving to be another valuable Shenmue resource. I'm liking the layout of the site, so easy to see what's new in the world of Shenmue, bravo sir! DreamcastPast. Thanks for your positive words DreamcastPast! It's great to hear back from Shenmue fans like yourself about the site.